With a variety of sports and exercise activities comes a variety of injuries. Adequate preparation and thought out training greatly reduces the risk of injury. But what happens when you DO get injured? A runner who can’t run is an emergency to us because we, as runners, realize the importance that it serves in our daily lives. It keeps us sane, it helps us relax, it lets us think, it gives us quiet time and makes us feel happier. When faced with an injury, we strive to reduce your time ‘out of the game’ but as doctors, we have to protect you from further injury or delayed healing. Yes, this sometimes means we need you to stop running. We understand the panic that sets in when you are told not to run. The good news is that with any injury, it doesn’t mean you have to sit and do nothing to heal. Rather, modifying your activities or even trying something new can offer the benefits of exercise without risking a delay in your recovery. When it comes to bone injuries, there are two possible scenarios. If you have suffered a stress fracture (meaning the bone has not broken through) reducing impact in your activities is important. However, you can reduce impact and weight on your foot and still get a great workout. How? 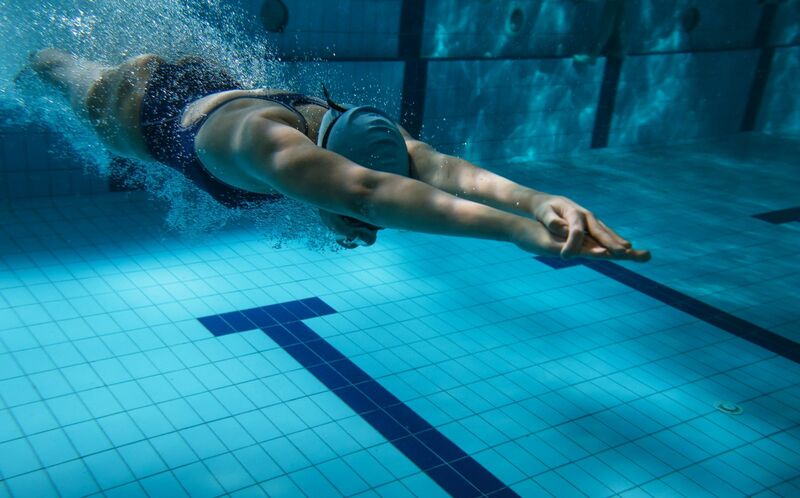 Swimming is one great way to stay active if you are recovering from a stress fracture. Swimming provides protection from a great percentage of your body weight through the water’s buoyancy. There are also special treadmills that I love to use when recovering from stress fractures called “alter G” treadmills. These treadmills are specially designed to reduce weight on your feet while you run on a treadmill (without the water). These machines can increase or decrease the body weight on the feet easily so that while running normally on the treadmill, your injured bone can slowly strengthen up until you are running with your full weight again. A fracture which breaks all the way through the bone is not stable in the same way a stress fracture is. For this reason, depending upon the bone, swimming may not be advised for the first few weeks of healing. Tendon injuries in the foot (tears primarily) also require adequate rest from activity-that being both impact and motion. Unfortunately, this can mean that even swimming, elliptical or bike are not recommended. What’s left? Core and upper body exercises. Even a rowing machine can sometimes be used.